In today's world, skin care is the main thing in our daily life. People would rather spend their money on skin care products than makeup. Natural ingredients are on top of market wishlist. People are looking more into natural ingredients so that it won't harm their skin. If you go through social media, you can see people talk about clay mask! 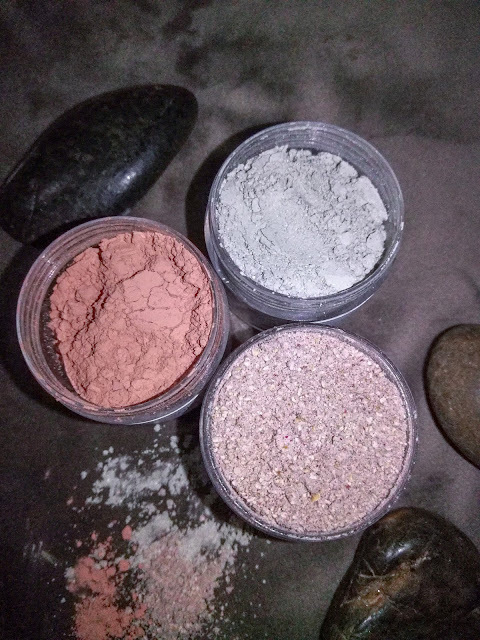 Clay mask is a homemade mask and people begin to realize the benefits it has. 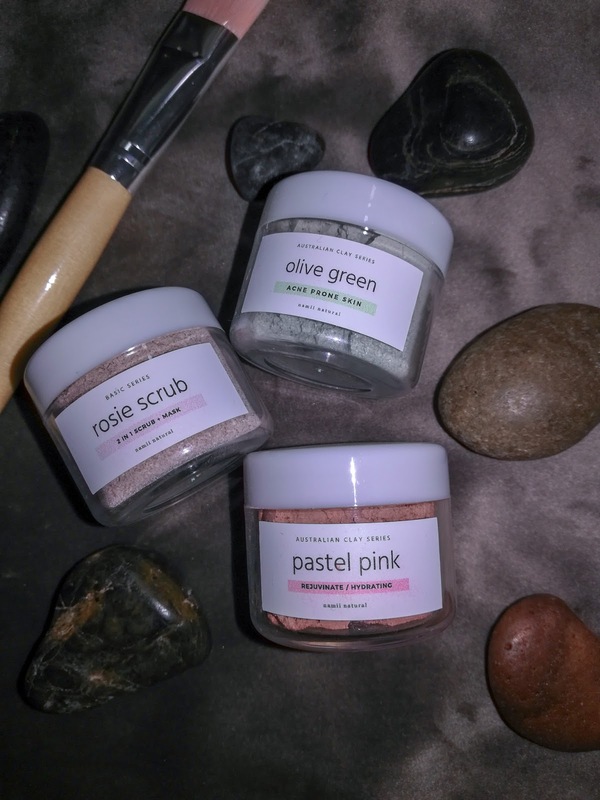 So, I received a PR package from this brand call Namii Natural (@namiinatural) on Instagram and they sent me 3 types of clay masks which include Olive Green (ACNE PRONE SKIN), Pastel Pink (REJUVINATE/HYDRATING) and Rosie Scrub (2 IN 1 SCRUB + MASK). I tested it for almost 2 months. p/s: Yes, when it comes to skin care, it takes me quite some time. So, each of the clay mask comes with different type of colors and function and yes, I give it a try on all these 3 clay mask! Honestly, at first, I can't feel any changes towards my skin, but after the second time of trying it, I can see that my acne becomes smaller and there are less red spots on my face. (2 IN 1 SCRUB + MASK). It does suit my skin. The Pastel Pink (REJUVINATE/HYDRATING) is for hydrating but my skin does not feel hydrated after using it. - Hydration to the skin. - It hydrates the skin and helps to refine delicate lines, moisturize, and improve the overall texture of the skin. 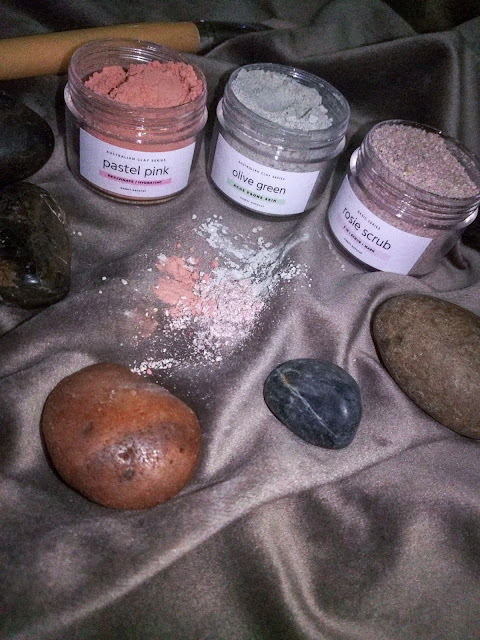 - The natural properties of the clay are firming, hydrating and calming. - Helps absorb oils & control shine. - Helps draw out the impurities. - Balance out the amount of oil in skin. This is how the texture looks like! 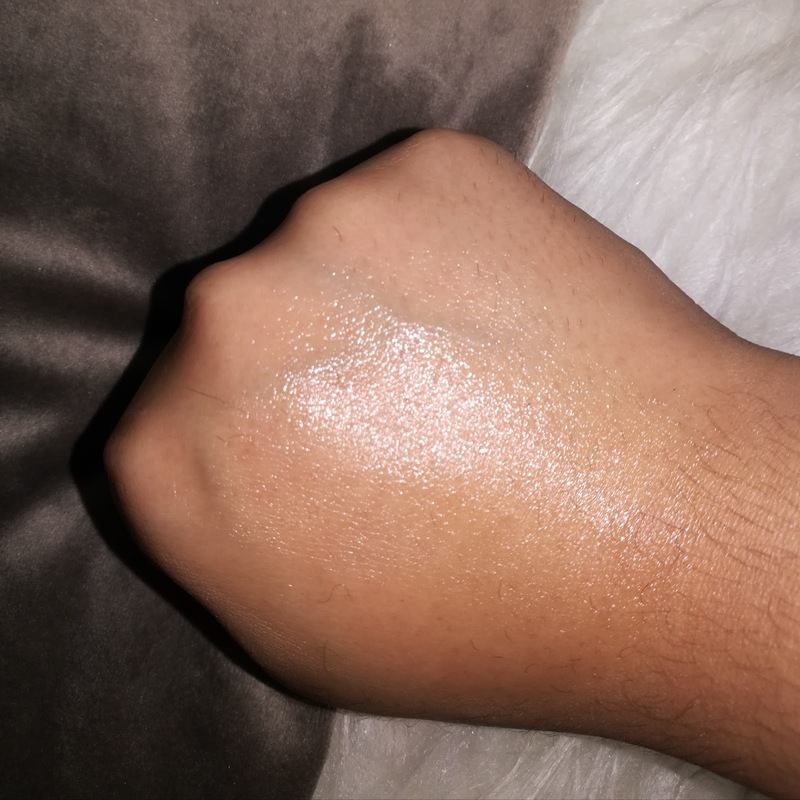 The texture feels like baby powder (the Baby Johson one), it is smooth and does not irritate the skin. It smells nice and I quite love it, but the color of the product is too strong! Even after I wash my face and wipe it off with toner, I still can see the color on my facial cotton. Kaolin Clay, Australian Green Clay. Oats, blended rice, kaolin clay, rose powder, jojoba oil & rose geranium essential oil. - 1 teaspoon of clay mask and mix it with 1-2 teaspoon of water. - Apply the mask all over your face and leave it for around 10-15 minutes. 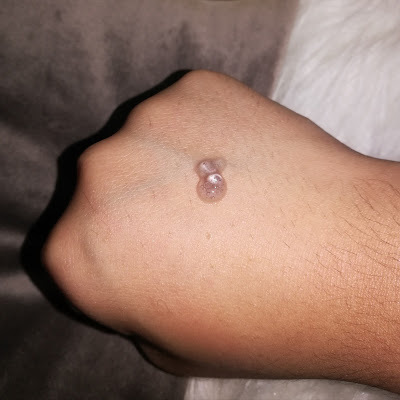 - Rinse it with warm water and continue with your usual skin care routine. - Use it 2-3 times a week. I was offered free products without any advertising fees, and I was also asked to use this product for a few weeks and give honest reviews. I'm not a beauty/skincare expert that you can totally trust 100%. This review is based on my personal experience & it depends on my skin type too. I have an oily skin & some part of my skin is extra sensitive. This brand was found by an actress that I assumed everyone knows. If you guys have watched this Korean series called Secret Garden, then you should know Ha Ji-won. The brand is called J.One Cosmetic. It was launched in June 2015 and surprisingly on the first day of launch, the products were SOLD OUT within an hour and a half. Yes, I do love their products and it really works on my skin. A little bit pricey, but worth the price. So, they sent me another PR package of J. ONE COSMETICS for me to try it out. 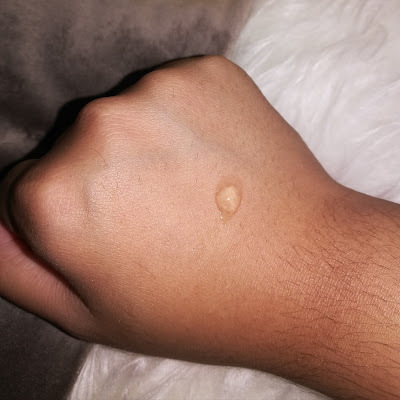 This time, it took me quite some time to give it a try due to my skin condition. 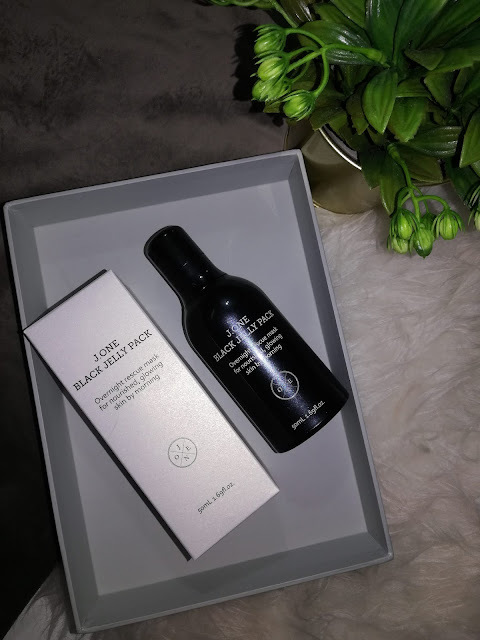 J.one Black Jelly Pack; Overnight Rescue Mask for Nourished, Glowing Skin by Morning. This is how the packaging looks like. Honestly, I love how minimalism it is, travel friendly, made of plastic with good quality and the size of the bottle is not too big which is good because it can fit my makeup pouch! So, lets's talk about the cleanser first. To be honest, I can't see any changes towards my skin after 2 months trying it, but after 5 months, I can feel the difference on my skin. I can say that, my skin looks healthier, smoother and feel soft. 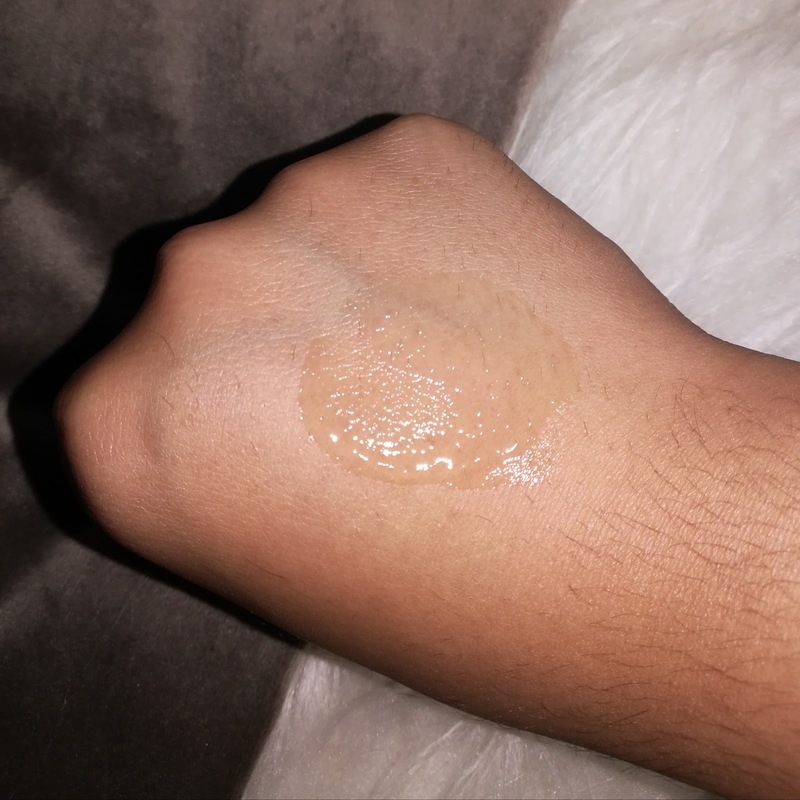 It moisturizes my skin, but I don't recommend for those who have dry skin because this cleanser is not meant for moisturize your skin unless you wear enough amount of moisturizer after washing your face. It has a strong scene of honey and if you're allergic towards fragrance or scene, I don't recommend it either. 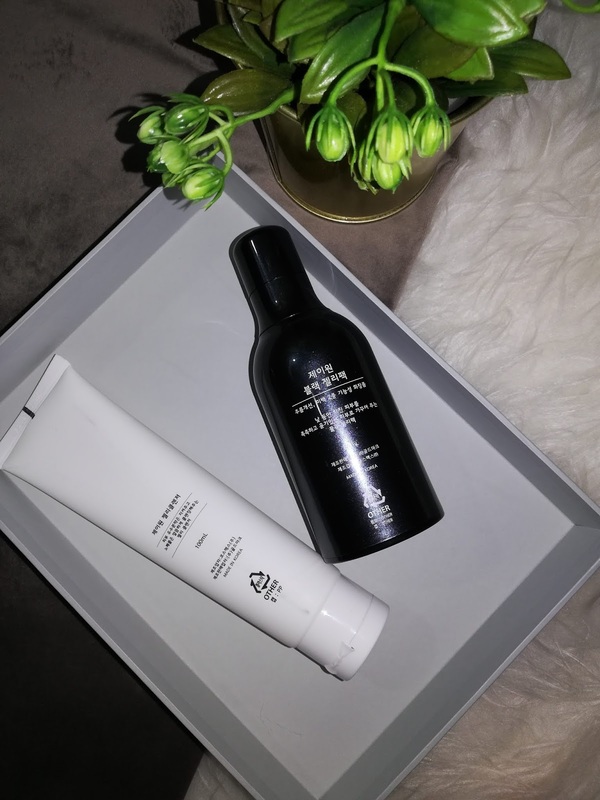 It does remove my makeup easily but since I use double cleansing method, so, I can't say that "this cleanser does remove my full-face makeup". But, for sure, it does remove light makeup easily. This is how the texture looks like. Let's move on to J.one Black Jelly Pack. This is absolutely my HOLLY GRAIL after Hana Cream! It really makes my skin looks moisturized, dewy & glowing. It can be use as both moisturizer and night mask but I do recommend to use it as a night mask because the next morning when I wake up, my skin feels really healthy, looks glowing and feels like it is well moisturized. I do love the smell too! 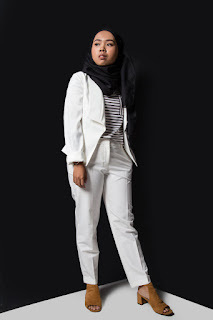 Overall, this product is a MUST TRY! Yes, a little bit pricey, but trust me, it is really good! Basically, all these products have good and natural ingredients that won't affect our skin. But maybe the fragrance or scene may affect certain allergy skin type. I will rate this 8/10! 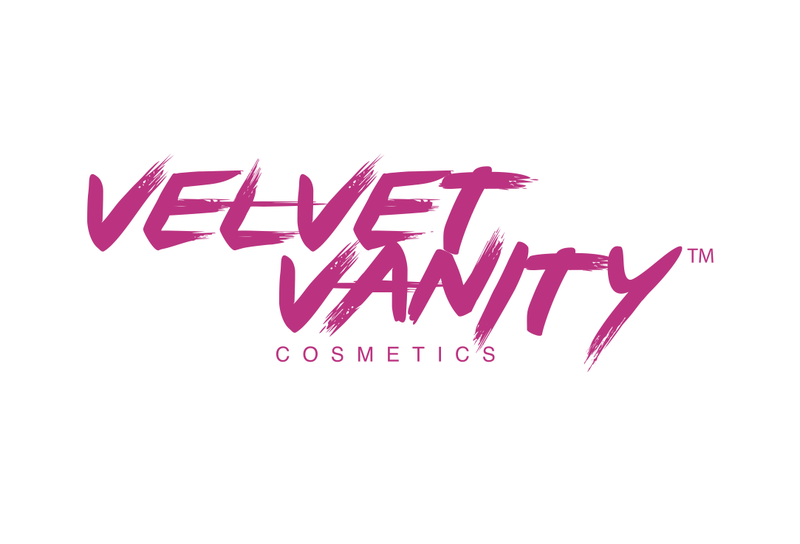 So, if you girls want to give it a try, click the link down below if you would like to purchase these products! And here, a little bit more details about the products. 1 . 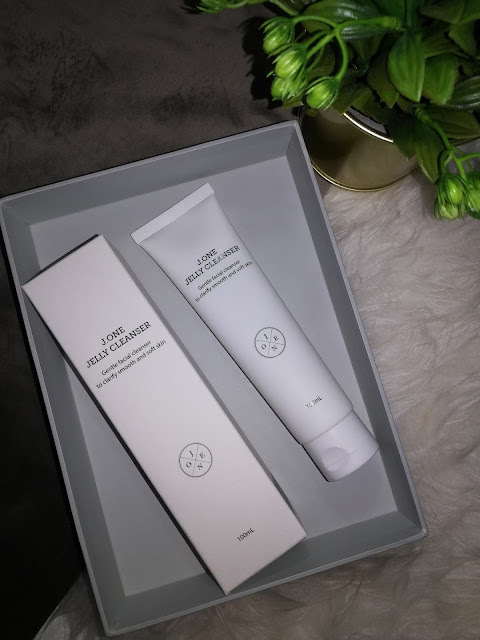 J.one Jelly Cleanser; Gentle Facial Cleanser to Clarify Smooth and Soft Skin. 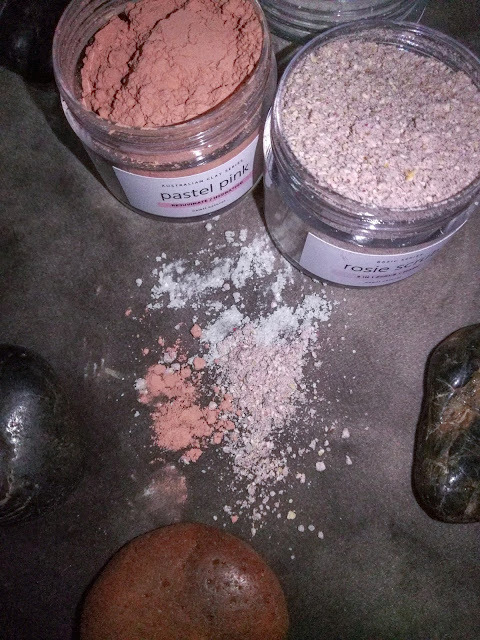 Dispense a dime size amount onto pal and gently massage onto dry skin to melt away impurities. Then, wet the hands and continue to massage the skin until the formula begins to foam. Rinse thoroughly. 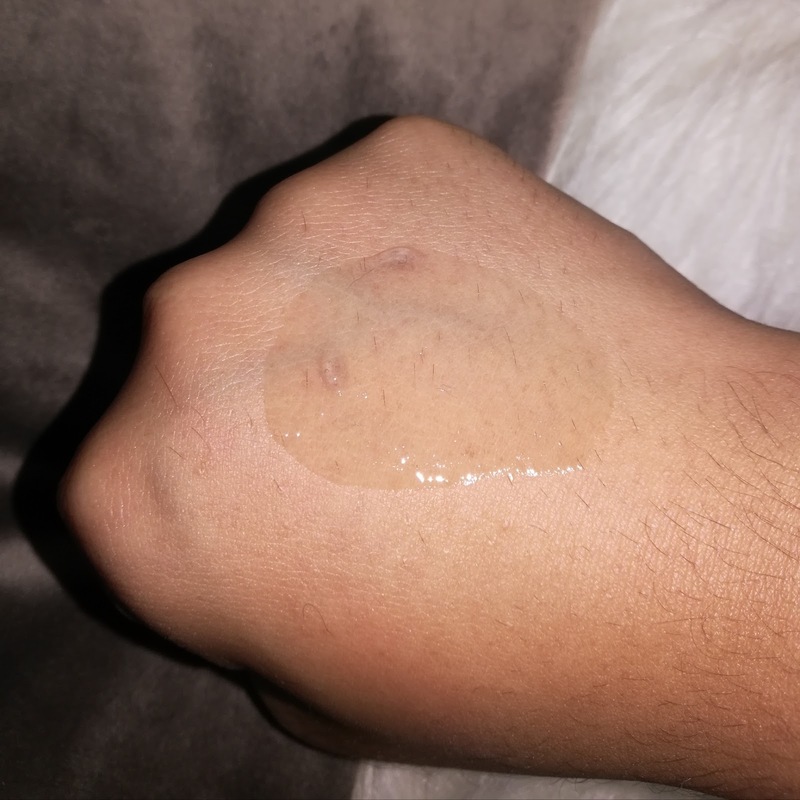 Water, Cocamidopropyl Betaine, Methyl Gluceth-10, Ethoxydiglycol, Dipropylene Glycol, Butoxydiglycol, Diglycerin, Glycereth-26, Diethoxydiglycol, Glycerin, Butylene Glycol, PEG-7 Glyceryl Cocoate, Xanthan Gum, Phenoxyethanol, Caprylyl Glycol, Fragrance (Parfum), Disodium EDTA, Cocos Nucifera (Coconut) Oil, Butylene Glycol, Honey Extract, Decyl Glucoside, Royal Jelly Extract, Sapindus Mukorossi Fruit Extract, Saponaria Officinalis Leaf Extract, Maltodextrin, Moringa Pterygosperma Seed Extract, Propolis Extract. 2. J.one Black Jelly Pack; Overnight Rescue Mask for Nourished, Glowing Skin by Morning. 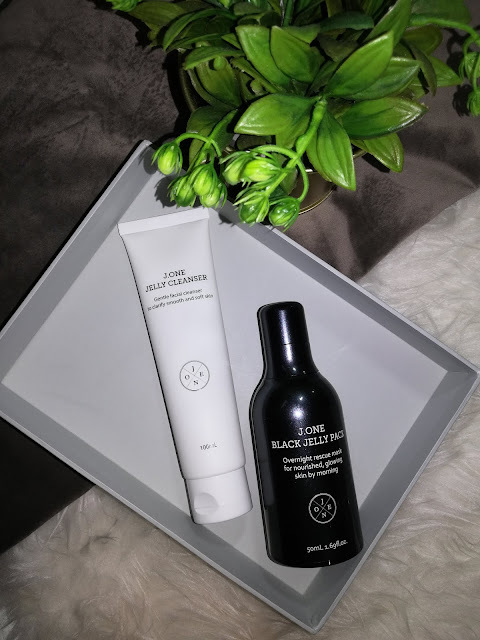 Wake up to glowing skin with this hydrating and smoothing overnight mask, formulated with antioxidant-rich midnight-hued ingredients.The Black Jelly Pack harnesses the power of 7 midnight-hued antioxidant rich ingredients. Dispense a dime size amount onto finger tips and gently sweep onto cleansed skin (approximately 1-2 pumps). After 30 seconds, pat into skin until completely absorbed. If desired, use as the last step of your night routine as an overnight sleeping mask. Water, Butylene Glycol, Chondrus Crispus Extract, Saccharum Officinarum (Sugarcane) Extract, Phenoxyethanol, Glycerin, Niacinamide, Pentylene Glycol, PEG-240/HDI Copolymer Bis-Decyltetradeceth-20 Ether, Potassium Laurate, BHT, Carbomer, Phenoxyethanol, PEG-60 Hydrogenated Castor Oil, Octyldodeceth-16, Caprylyl Glycol, Aminomethyl Propanol, Adenosine, Disodium EDTA, PVP, Fullerenes, Hydrolyzed Pearl, Palmitoyl Tripeptide-5, Dipropylene Glycol, Sodium Palmitoyl Proline, Nymphaea Alba Flower Extract, Hydrolyzed Hyaluronic Acid, Plankton Extract, Fragrance(Parfum), Nigella Sativa Seed Extract, Rubus Fruticosus (Blackberry) Fruit Extract, Ribes Nigrum (Black Currant) Leaf Extract, Propolis Extract, Tuber Melanosporum Extract, Aureobasidium Pullulans Ferment, Gardenia Florida Fruit Extract, Monascus Extract, Maltodextrin, Carthamus Tinctorius (Safflower) Flower Extract. Korean women seem to never age. With their dewy & glowing skin, it makes them look youthful. No matter what their age is, their skin is free of wrinkles. Like Song Ji-Hyo, she’s looking younger than her real age! Her skin looks flawless and still glowing after all these years. Guess what? She’s 37 years old! Yes, we cannot deny that every woman wants to have younger looking skin. These days, Korean skincare or also known as K-Beauty is everywhere and people won’t stop talking about it. In Korean skin care, the key to looking youthful is hydration where moisturizer locks the deal. It doesn’t matter whether you have dry, oily or the sensitive skin, you need to make sure that it is kept hydrated. In every Korean skincare range, 90% of it focuses on skin hydration. For your information, when you keep your skin hydrated, you can prevent your skin from breakouts which explains why Korean girls have flawless skin. Without further ado, here are some Korean skincare brands that can help you look a lot younger! 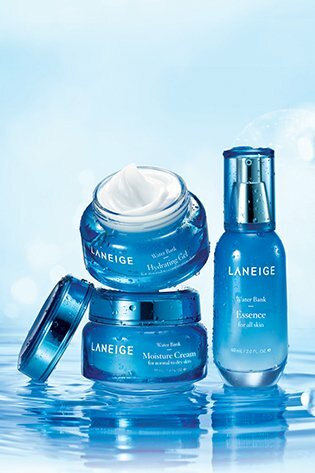 Laneige is among the top Korean Skincare brands and if anyone knows Laneige, most of their skincare range is aimed for skin hydration. Just like what is stated by the brand, “discover the secret to radiant and glowing skin”. 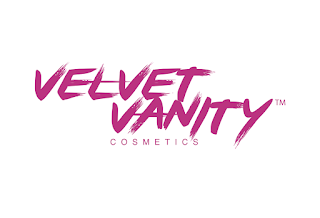 For those who want to have youthful, dewy looking skin, this brand is highly recommended as there is a good amount of positive reviews from all beauty lovers out there. Son & Park is a brand that recently just entered the market and blooming everywhere. The beauty water from the brand is one of the products that people could not stop talking about. 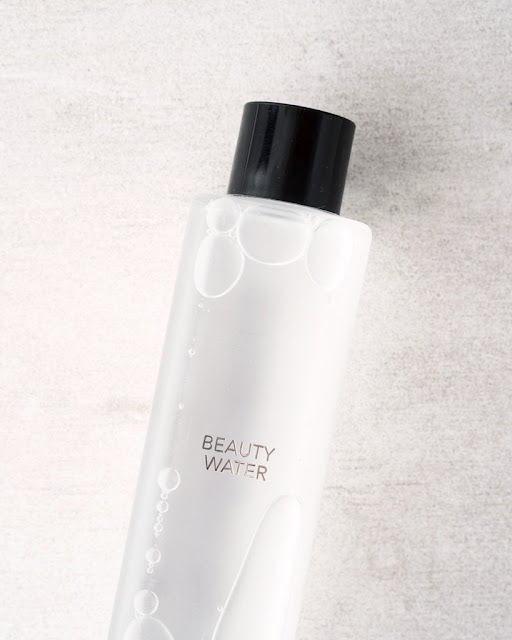 It does not only function as a beauty water, but also moonlights as a makeup remover, toner, and on-the-go skin refresher in a sleek bottle. Plus, it will keep your skin hydrated all day.